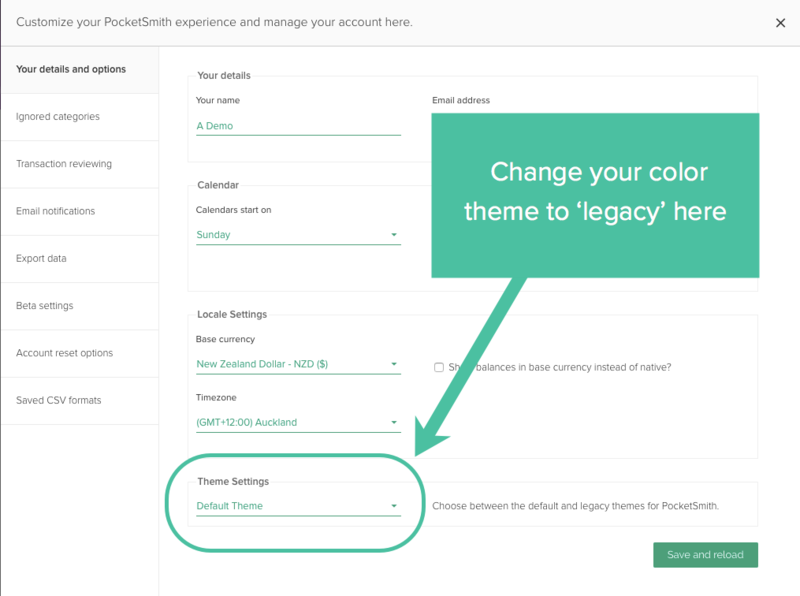 If you're not a fan of the PocketSmith purple, you can change the color to the legacy color theme of past PocketSmith. Currently, this option is only available to users who are beta testers. 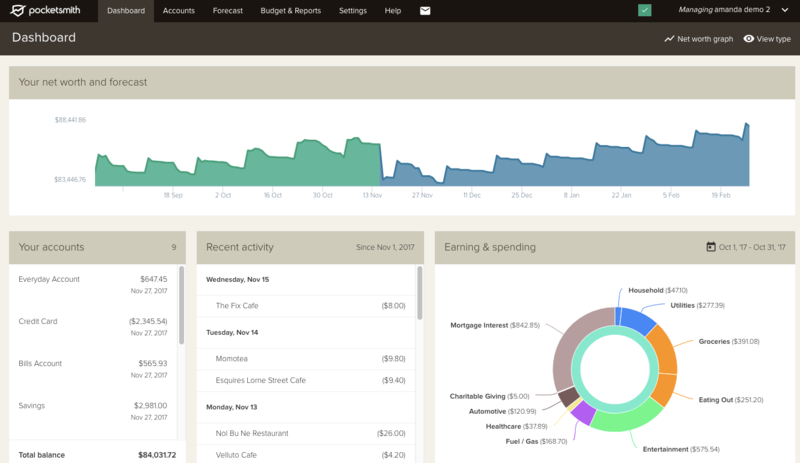 Learn more here: How do I become a beta tester? The 'legacy' theme is not as developed as our 'default' theme. As such, the experience with the 'legacy' theme may not be as consistent as using the 'default' theme. If you are color blind, there are few areas in PocketSmith where it may be hard to see specific detail due to the colors used. If you are using Chrome as your web browser, you may want to try the Color Enhancer Chrome extension made by Google. We have heard from color- blind users that this really helps to see differences in the colors, improving visibility within the app.